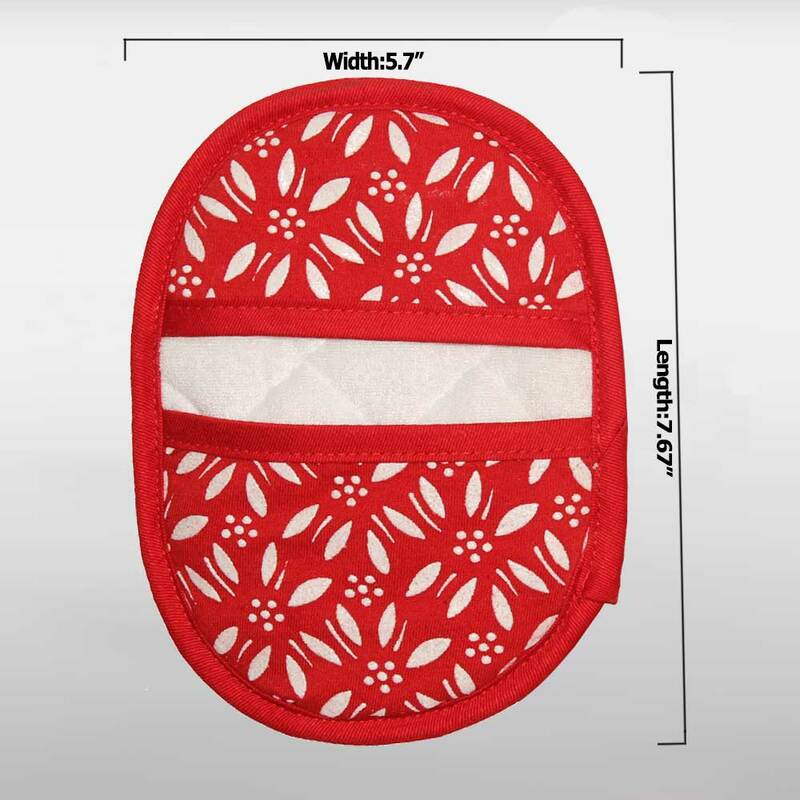 Protect your hands from hot pots and pans using this terry cloth pot holder. 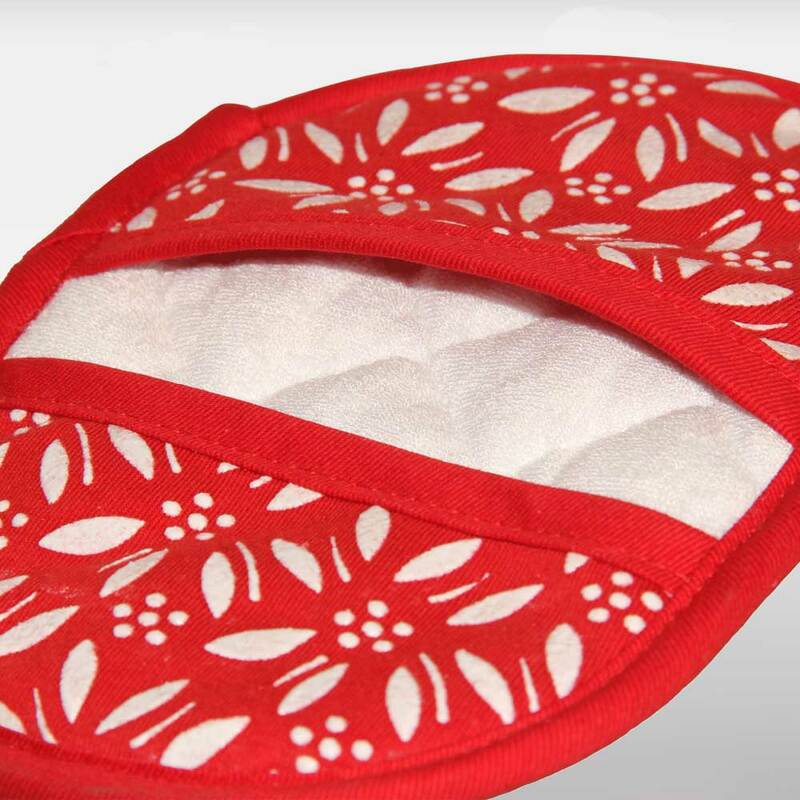 Made of a blend of heavy duty terry cloth, two sides silicone dotted offer great grip. 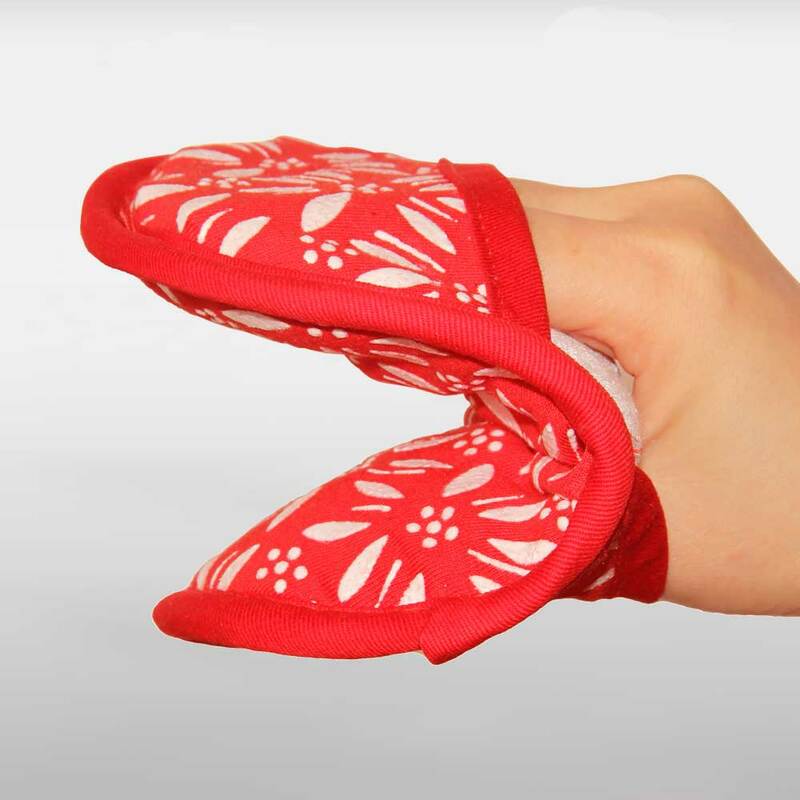 This pot holder can withstand temperatures up to 500 degrees Fahrenheit.It's perfect for a busy commercial kitchen with cooks handling multiple pots, pans and other items going in and out of the oven. 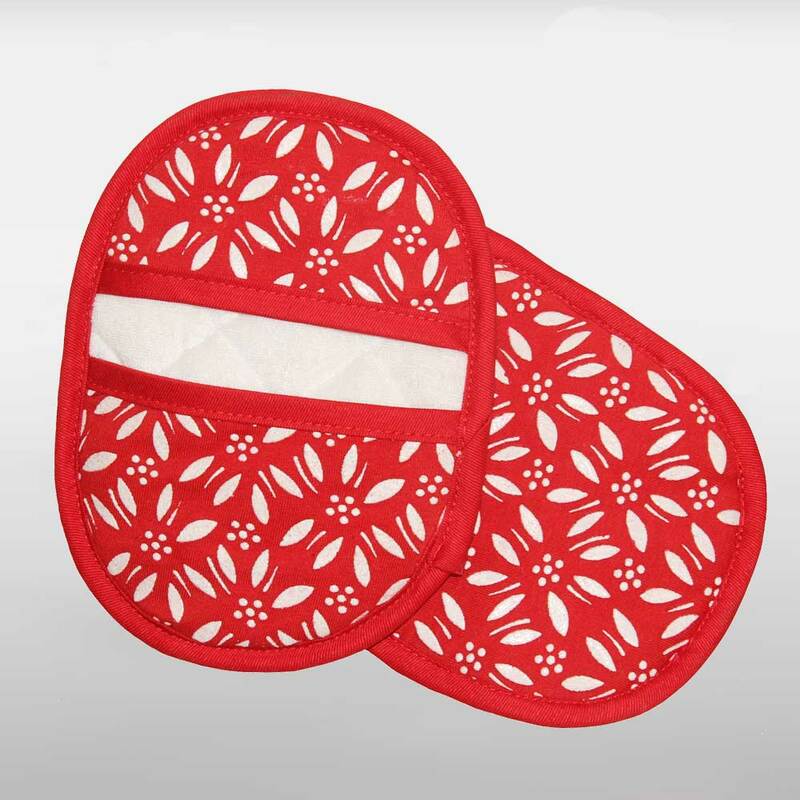 This pot holder is machine washable . A handy hanging loop is sewn onto the pot holder for easy storage at the end of a busy day.